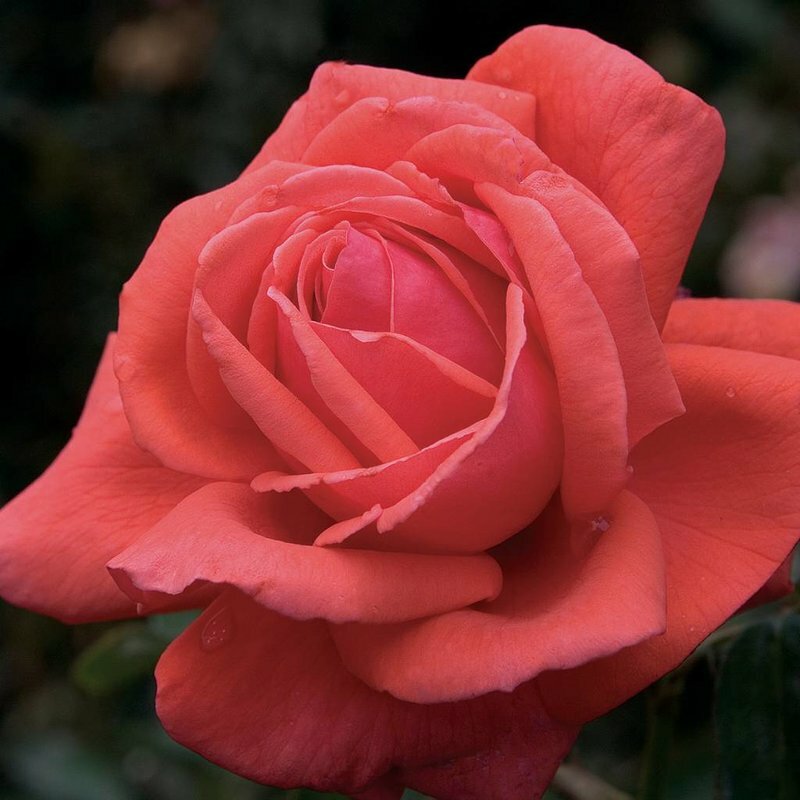 Bred by Star Roses • Luxuriously fragrant rose features an abundance of bright coral-red blossoms with a honey-sweet fragrance. 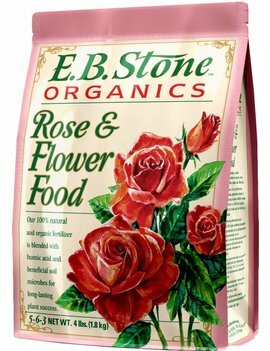 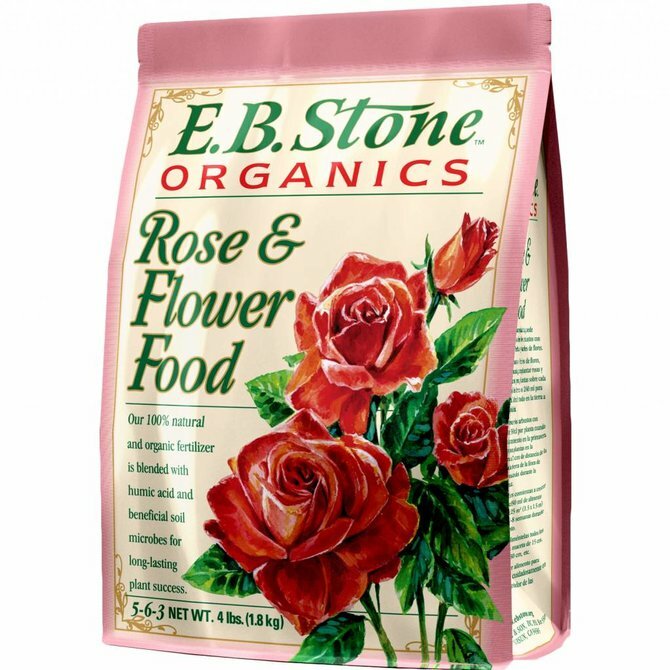 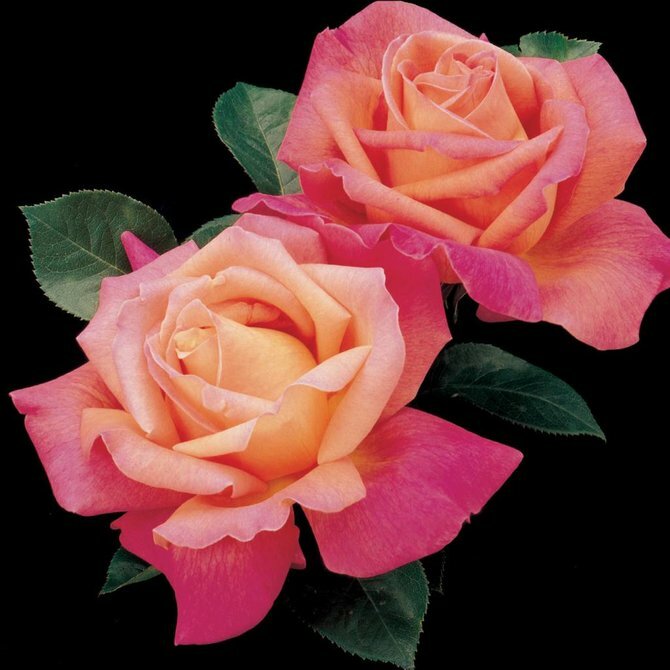 Voted into the Rose Hall of Fame by the World Federation of Rose Societies in 1981. 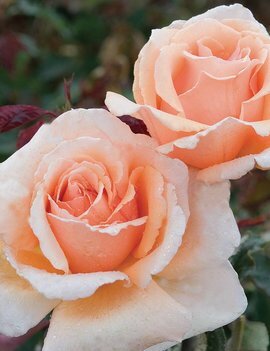 Bred by Star Roses • & Weeks RosesJust Joey has a fruity fragrance that carries in the breeze from the large, ruffled apricot blooms. 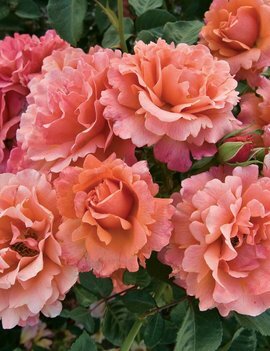 Interesting mahogany tinted foliage make it a wonderful show rose. 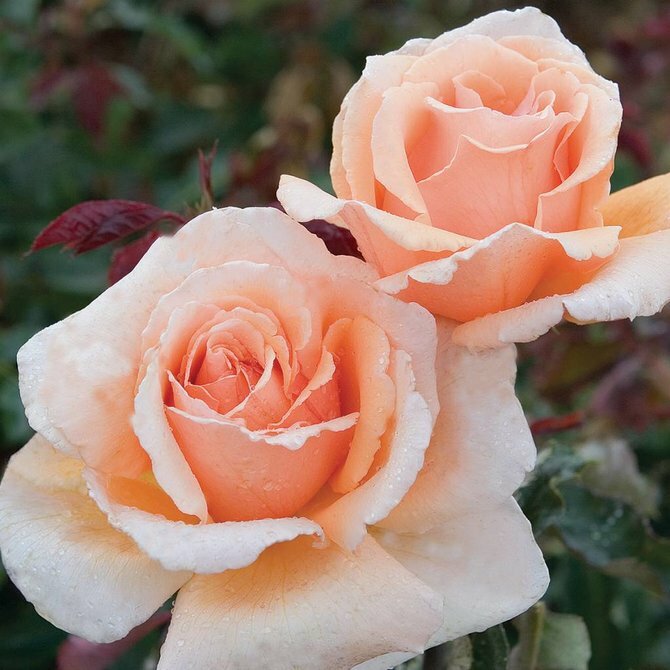 Bred by Weeks Roses • First discovered in the Windy City, this brighter and deeper-toned rose has a fine reputation. 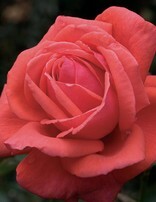 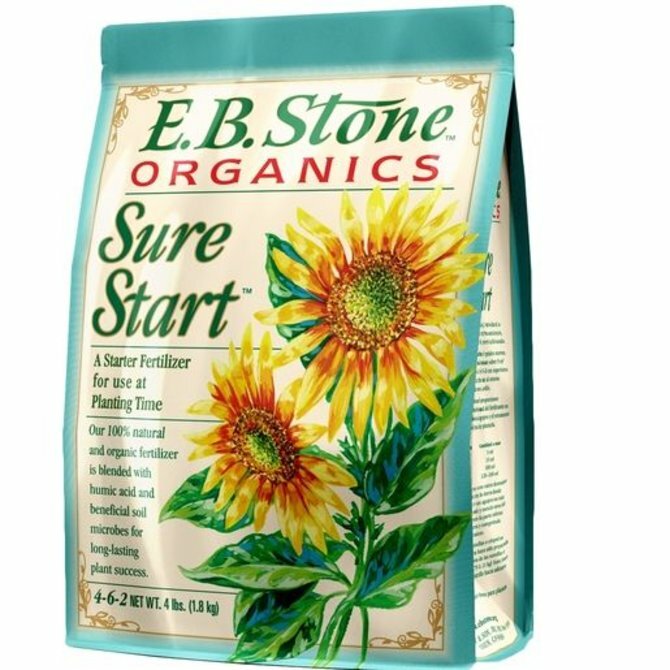 It possesses large opulent flowers, big quilted glossy apple-green leaves, and handsome bushy plant. 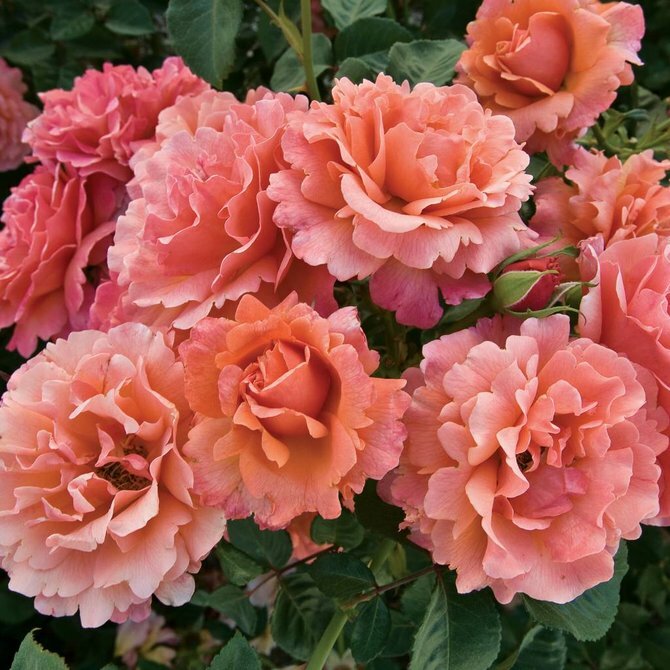 Best color east of the Rockies. 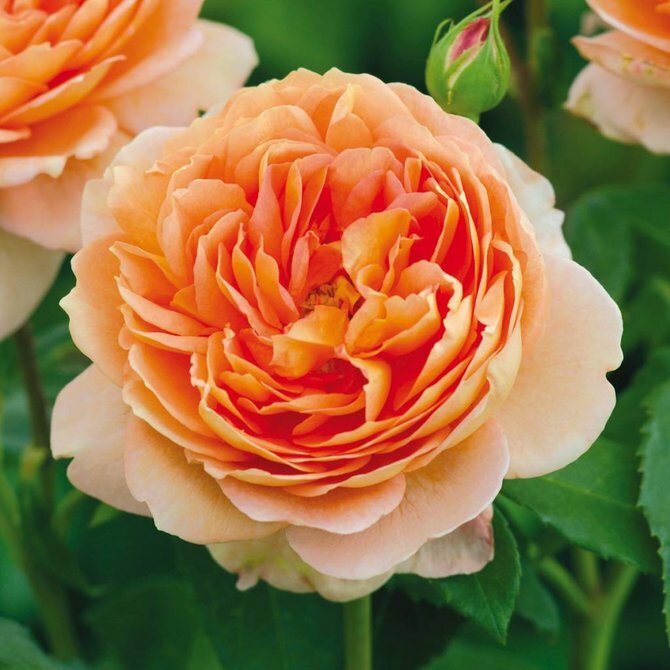 Bred by Weeks Roses as part of the Downton Abbey Collection • Anna’s Promise praises the true heart and steadfast love that transcends the trials and tribulations endured by Downton Abbey’s character Anna Bates. 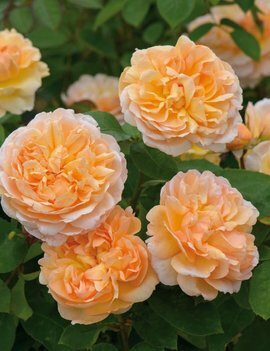 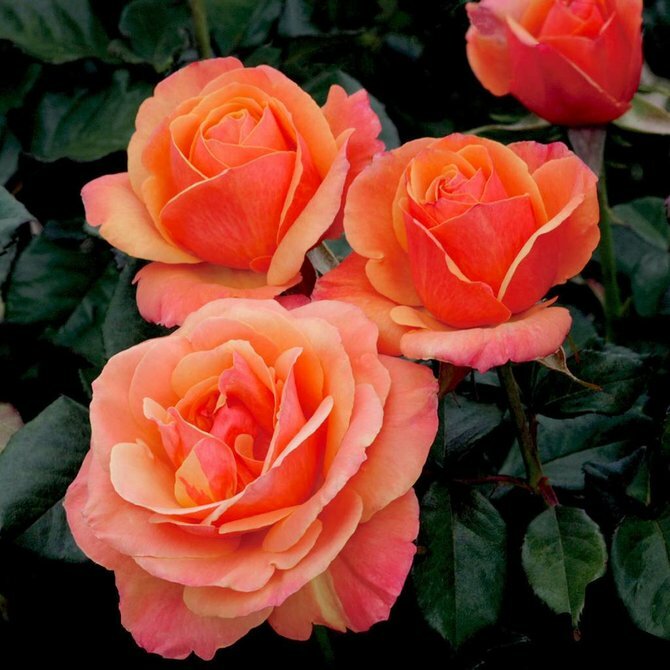 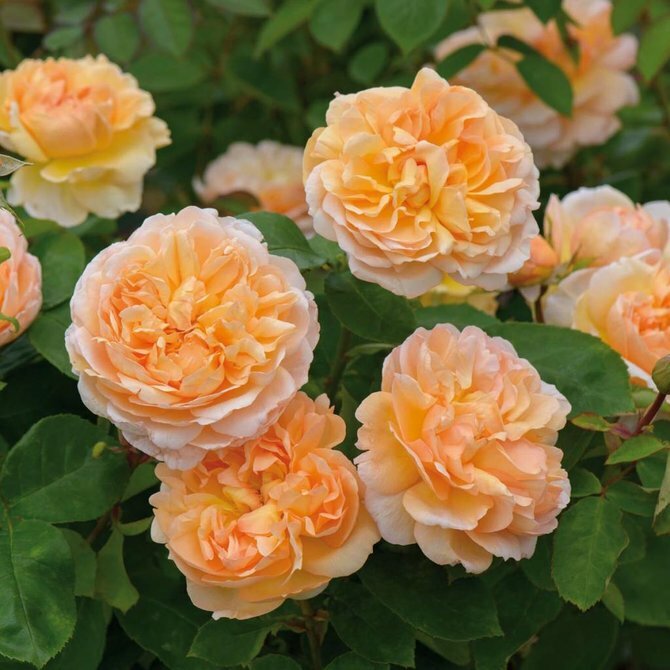 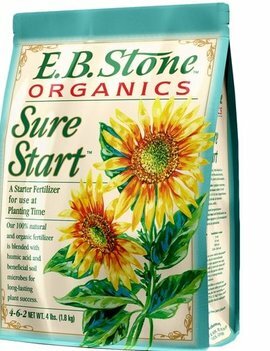 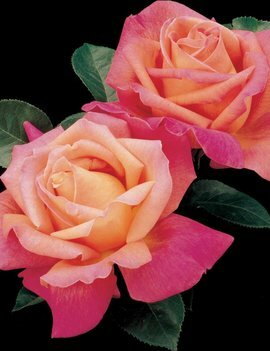 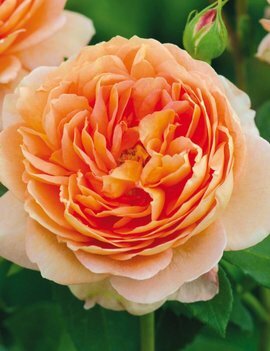 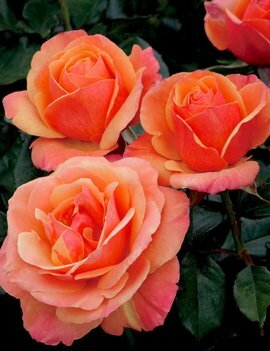 Bred by Weeks Roses • Deeeee…lectable colors of mango orange, peach pink and ripe apricot bounce off the mirrored glossy green leaves, providing a flamboyant fruit salad for the landscape. 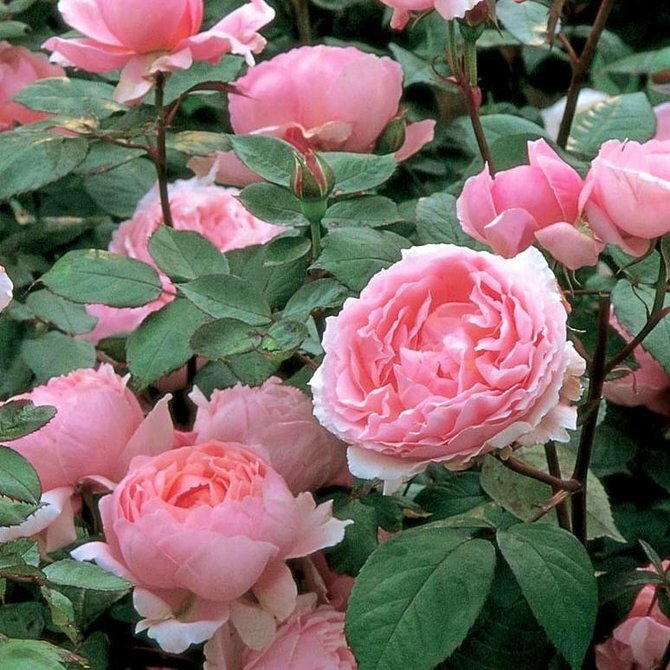 English Shrub Rose - Bred by David Austin • Large, full-petalled blooms with a strong, delicious tea scent. 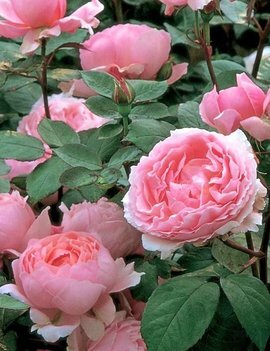 English Shrub Rose - Bred by David Austin • Beautiful, large, dome-shaped rosettes produced very freely. 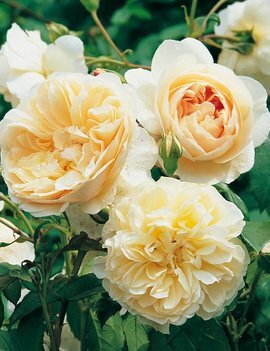 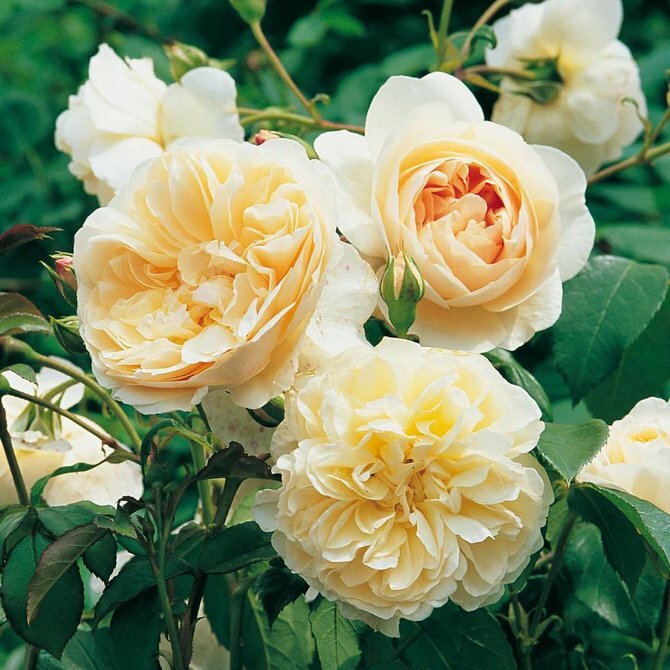 English Shrub Rose - Bred by David Austin • Large, deeply cupped blooms with a rich fruity fragrance.